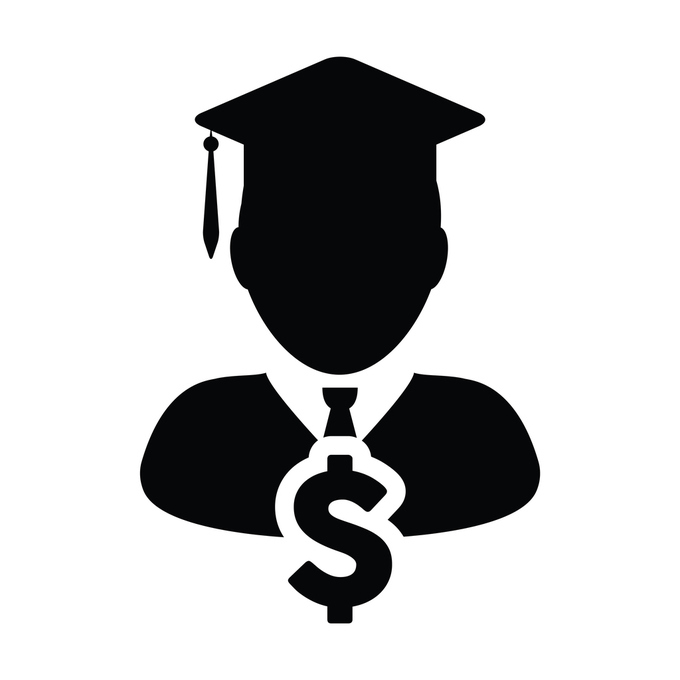 Does Refinancing Student Loans Impact Your Credit? Last month, I finally did something I’ve been wanting to do for years: I refinanced my remaining student loans. Not only will this cut years of monthly repayments off of my schedule, but I will also save tens of thousands of dollars in the end. After working diligently to build a healthy, high credit score for the last few years, though, I worried: Will my credit score take a hit when my loan consolidation is complete? It’s a valid concern, too, seeing as there are a number of credit report changes that occur when you consolidate a debt. So even though getting my student loans refinanced was a great financial decision in the long run, I have still been concerned about the credit impact. Let’s talk about how a student loan refinance has the ability to affect your credit score, and whether the impact is worth it in the long run. Before you ever begin the process of refinancing your student loans, you’ll need to ensure that you’re already in a pretty good place with your credit. Not only will you need a good credit score, but you’ll also need at least a few years’ worth of responsible payments on the loans under your belt. Without that, you have very little chance of refinancing (at least, if you want a good interest rate). 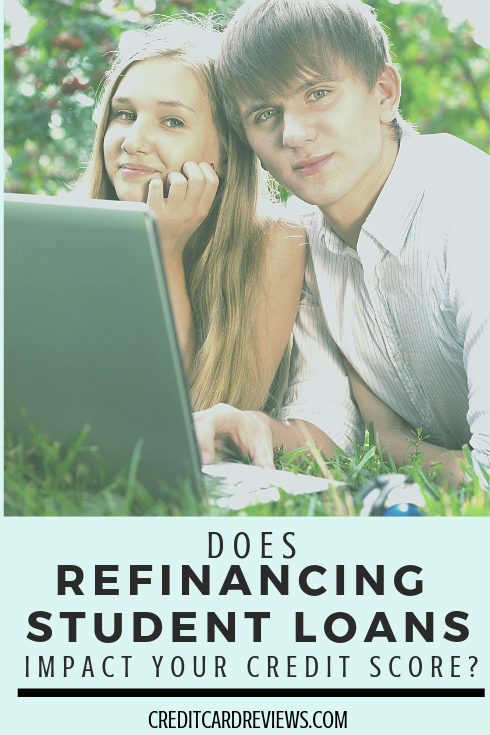 Even if you have been successfully repaying your loans back for a few years and have a positive credit history, you might still get denied the first few times you apply for refinancing. That’s what happened to me. While I’ve been working to steadily pay my loans down since getting my undergrad degree, the repayment tunnel seemed dark and dreary thanks to some pretty high interest rates. I had tried to refinance in the past, applying through companies like SoFi who specialize in student loan refinancing and consolidation. Even with a good credit score and years of responsible payments, though, I had trouble getting approved at the rate I wanted. It wasn’t until I hit the 8-year loan repayment mark (and developed a significant enough credit history to match) that I finally got the loan I needed. Applying for any new financial products will result in a hard inquiry on your credit report. This isn’t an issue if you simply apply once or twice, or do all of your consolidation loan shopping in a short period of time. However, if you wind up doing what I did – applying a few different times, months (or even years) apart to try to get the rate you want – you’ll see an increased impact on your credit score. Even though the impact of these inquiries is somewhat minimal, it can decrease your score a bit. The biggest negative impact you’ll see from refinancing your student loans is that your average age of accounts – which makes up about 10% of your FICO credit score – will go down. This happens for two reasons. The immediate impact comes from your new refinance loan, which will be added to your credit report. The addition of a large personal loan will drop the average age of accounts a bit, though the actual impact depends on the accounts that already exist on your credit. The second impact will come years later. While your existing student loans have a (likely) positive repayment history, they will eventually fall off your reports a few years after you refinance. When this happens, you will lose not only part of your positive payment history, but your average age of accounts will take another hit. No matter whether your credit score will drop a bit due to a student loan refinance, it’s almost always worthwhile. A sacrifice of a few points is a pretty fair trade-off compared to thousands of dollars, and added years of debt, when repaying those loans. If I had continued repaying my student loans on my default repayment plan, I would have incurred interest rates as high as 11-16% on some loans. Unless I paid extra each month, I was set to be repaying these loans for another 14 years, too. Now, I have saved myself 9 years’ worth of repayments and approximately $53,000 in interest, just by consolidating at a better rate. When I consolidated, I saw my credit score drop about 11 points. However, this is a seriously small price to pay for my refinance. After all, that’s about $4,818 saved per point that my score dropped. And I think I can live with that.